We visited Lacy Park twice. 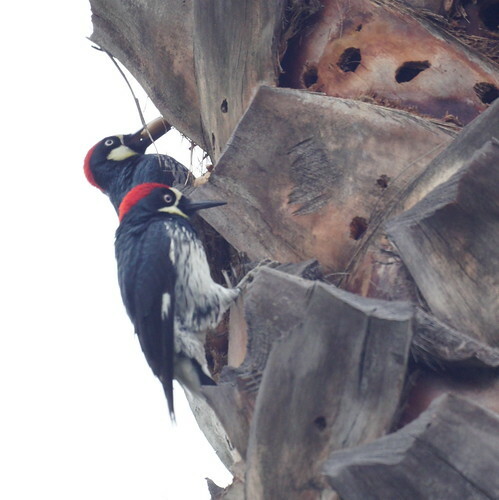 The first day it was cloudy and one area of the park was full of acorn woodpeckers, but we saw few other birds. The second day it was sunny and there were warblers and waxwings out, but we didn't see the woodpeckers. 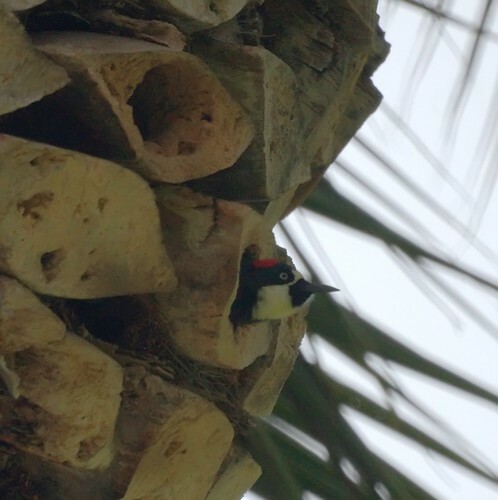 Acorn woodpeckers store food in repositories, holes they peck in trees. We've seen oak tree repositories before but never palm tree repositories.